Meatloaf has a bad rap. It is, for sure, a loaf of meat - something that doesn't quite sit well with our well-intentioned ideas of better modern eating (any reality aside). 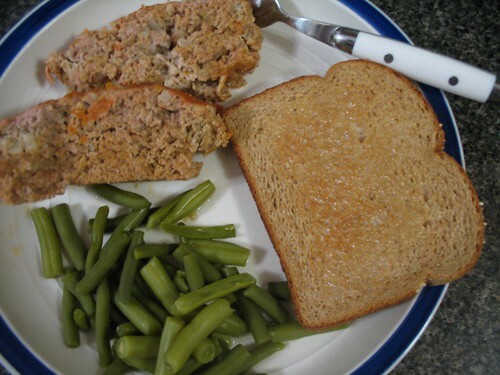 And like cheese balls and Jell-O molds, meatloaf has that aura of 1950's food that's trying a little too hard. Of course, this being the Ms. Cleaver Chronicles, I'd be somewhat amiss if I didn't proclaim love for the meatloaf. I like meatloaf so much, it's what I ate on my second-first date with Mr. Cleaver. I can only think of one other person who truly appreciates this dish as much as I do (hi Winnie!). But if you haven't eaten meatloaf recently, you really should because it is tasty. And with a few minor modifications, better for you than a hamburger. A few years ago, I decided to jettison beef from my diet, except for "when it really mattered," meaning I like a good steak every now and again, but by and large ground beef almost never makes it into my kitchen. And really, I don't miss it - most of the things I formerly made with hamburger (or hamburg as Mr. Cleaver says) like tacos, chili and this dish, have enough seasoning that it doesn't make much difference when I use ground turkey meat instead and I feel a little better about eating it. I do what I can. 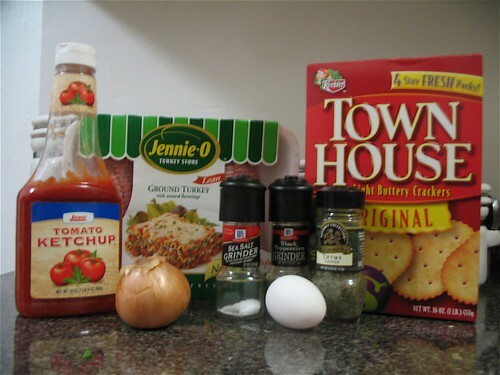 And so, like the Chili I posted earlier this week, I make my meatloaf with turkey, but feel free to use beef if you want. Preheat oven to 350°F. If desired, lightly grease a loaf pan. Put in oven and cook for 45 min- 1 hour or until internal temperature reaches 160°F on a meat thermometer.